Gobliiins 4 is the fourth game in the Gobliiins series. This game is developed by the French developer Société Pollene rather than Coktel Vision, but series creator Pierre Gilhodes is still the project leader. 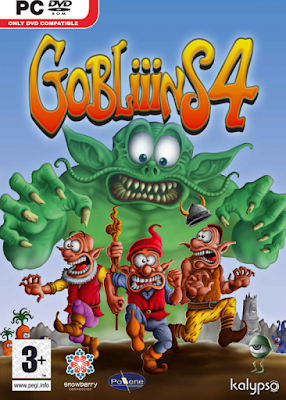 This game brings the series back to the three goblin game play of the original, where three goblins attempt to help King Balderone find his missing aardvark, Riri.